Asterhund Kennels is a small kennel on the Adelaide Plains. Our dogs are our companions as well as our family members. We wish to thank all those people who have assisted us get to where we are. Many of these people are also breeders and show their lovely "fur kids" quite successfully too but are kind enough to help us. We hope you enjoy your visit. Feel free to have a look around and contact us via our contact form page if you would like to know more or, if you wish, leave a message on our Guestbook Page. 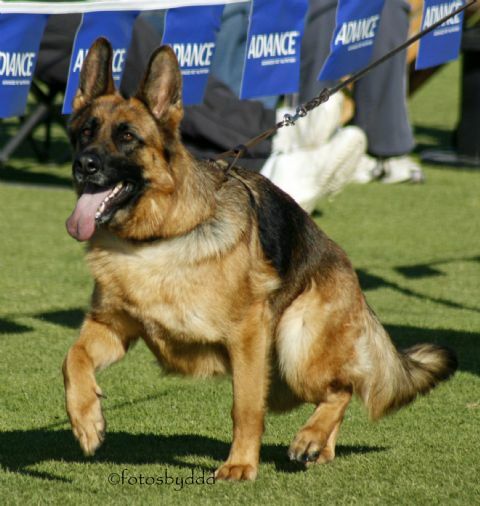 Please visit our FaceBook page of Asterhund German Shepherds for most up to date content, photo's and information.